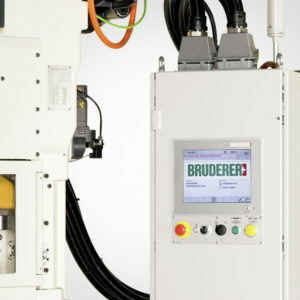 Bruderer B-Control for highest demands. The multilingual display provides constant updates regarding all relevant events and operating states for the entire production plant. BRUDERER control systems, Bruderer B-Control Essential, provide clarity and the highest level of control over all process cycles. They are simple and intuitive to operate and allow entering and changing of data during the production process.